Use Gahart's #1 IV drug handbook to safely administer more than 400 intravenous drugs! 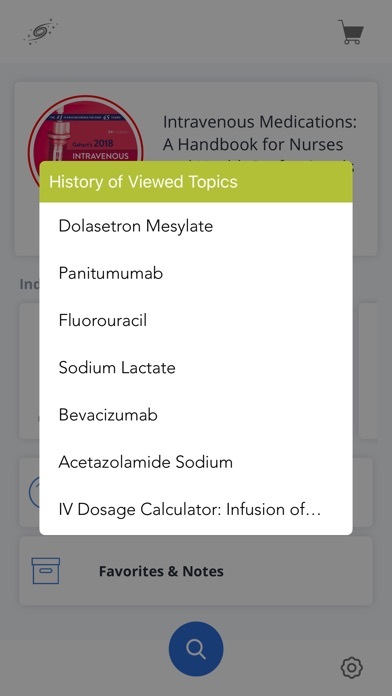 Download the FREE app and view selected topics - Approximately 10% of the content is viewable in the free app and tapping on the locked topic will launch the in-app purchase screen. 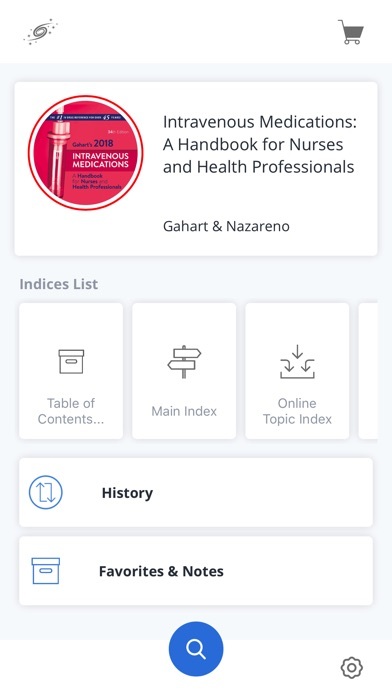 ABOUT: Intravenous Medications: A Handbook for Nurses and Health Professionals Based on: 34rd Edition Author: Betty L. Gahart, RN Adrienne R. Nazareno, PharmD Publisher: Mosby | Elsevier, Inc. ISBN-13: 9780323297400 FULL DESCRIPTION: Learn to administer more than 400 intravenous drugs safely and effectively with the #1 IV drug handbook! Now in its 34th edition, Gahart’s 2018 Intravenous Medications: A Handbook for Nurses and Health Professionals continues to be a trusted resource for its accuracy, quick-reference format, and comprehensive coverage of IV drugs. The latest edition includes approximately 15 important new drug monographs, along with updates to existing monographs. 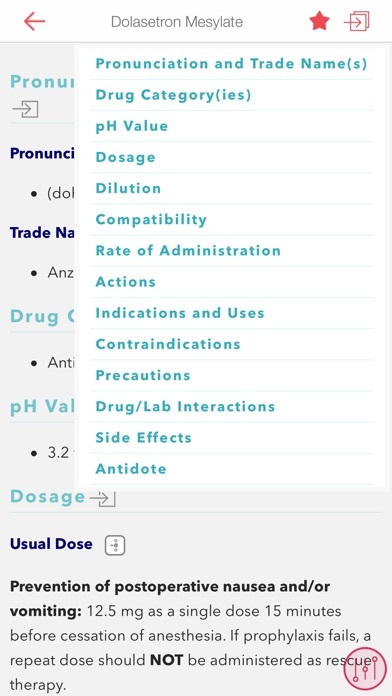 Each drug listing includes its generic name, trade name(s), drug category, pH, dosages and dose adjustments, dilution, incompatibilities, rate of administration, actions, indications and uses, contraindications, precautions, drug/lab interactions, side effects, and antidote. This user-friendly book contains all of the clinically relevant information you’ll need for the safe administration of IV drugs. Key Features * UNIQUE! Annual publication ensures that information includes the most recently approved IV drugs, as well as updated information on more than 400 existing drugs. * 40-year history of impeccable accuracy reinforces the importance of safe IV drug administration. * Black Box Warnings and key content highlighted to make locating key information fast and easy. 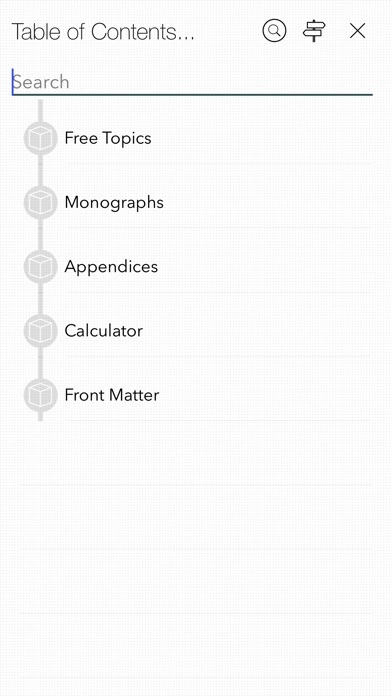 * Dilution and dosage charts within monographs provide quick access to essential clinical information. 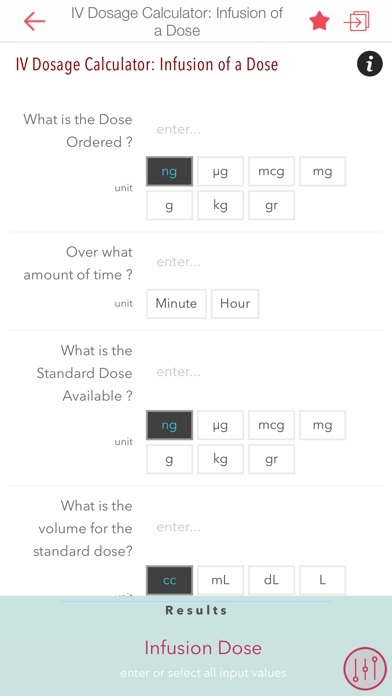 * Convenient, alphabetical format organizes all drug monographs by generic name, allowing you to find any drug in seconds. 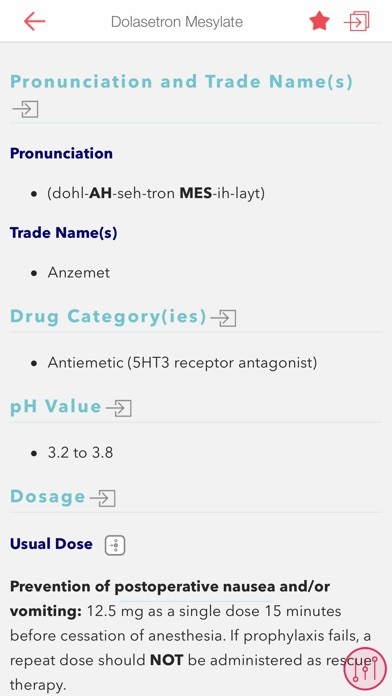 * Do Not Confuse With information is added at the top of each applicable monograph to enhance medication safety. * Reorganized drug side effects reflect the latest information on frequency, seriousness, and other important considerations. 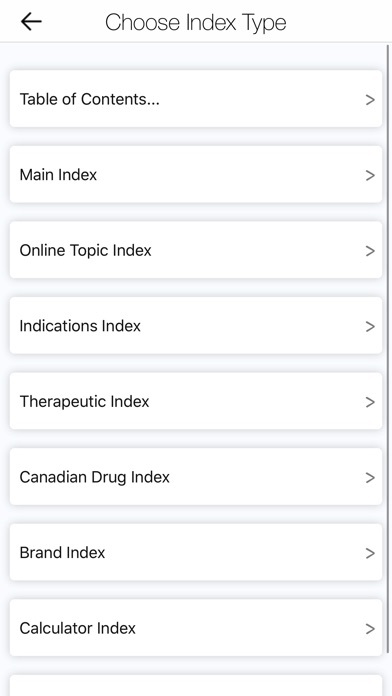 * Searchable index makes it easier to look up drug monographs. * Special circumstances highlighted in blue-screened text call attention to important circumstances that may not warrant black box warnings. 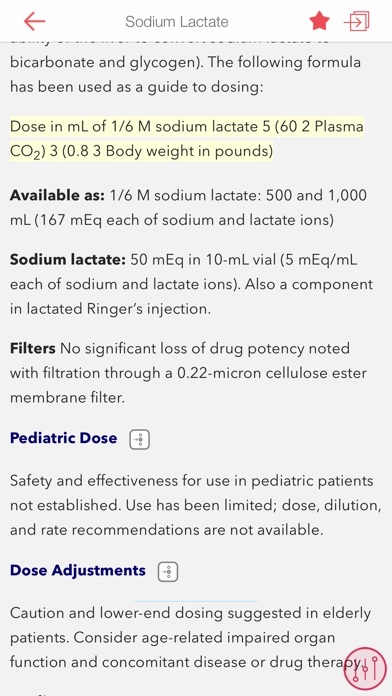 * Age-specific dosage variances are highlighted for geriatric, pediatric, infant, and neonatal patients. * NEW! Approximately 15 new drug monographs provide current, clinically relevant drug information for new IV drugs recently approved by the FDA. * NEW! 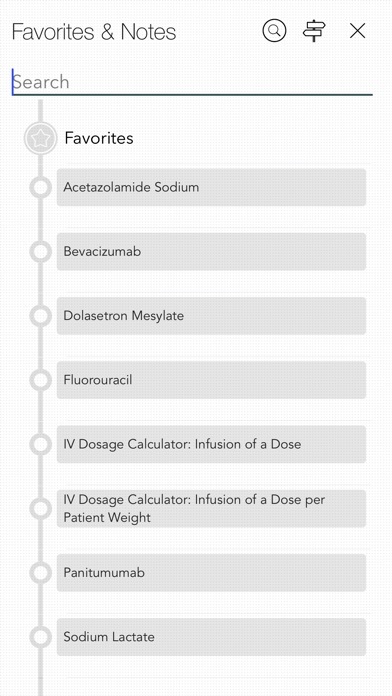 Updated drug monographs throughout reflect the latest changes in IV drug therapy. 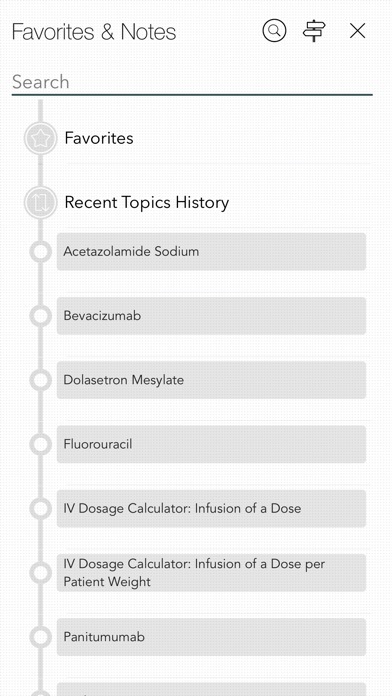 SPECIAL FEATURES: Locate a disease, symptom or medication in the fastest possible manner: - Use "Spotlight Search" from Home screen - Tap and Hold launch icon to open Last Topic, History, Favorites .. - Navigate using multiple indices - History to open frequently visited pages - Bookmarks NEVER FORGET ANYTHING: Mark topics with relevant information: - Rich-text notes - Voice memos - Annotations with scribble, doodle or text You choose the method to note this regardless of the context you are in to ensure that the important facts are available whenever you access the topic, whether it is tomorrow or six months from now.